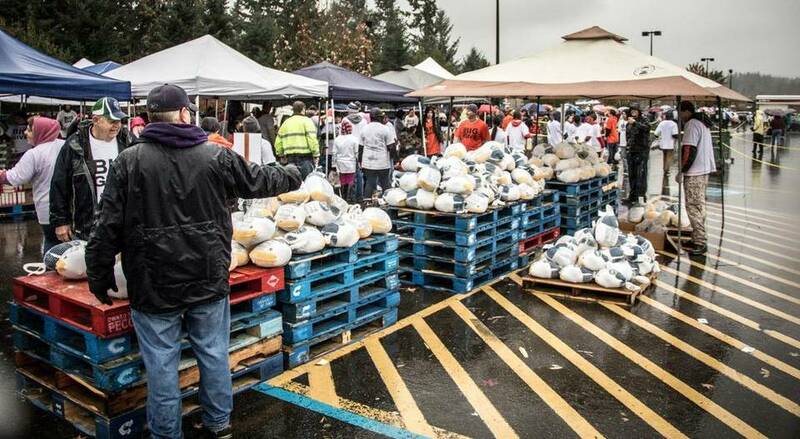 For the last five years, Open Life Church Sumner Campus pastor Brent Osburn and a team of volunteers and other organizations have stepped up to give those in need a Thanksgiving meal at The Community Big Give in Sumner and Bonney Lake. Event organizers work with the Sumner School District and other local organizations to hand out vouchers to those in need as a way to track where clients come from. Originally, Osburn and Open Life Church did the Thanksgiving meal drive in 2010 to give back to Liberty Ridge Elementary School, which has the highest percentage of students on free or reduced priced lunch. 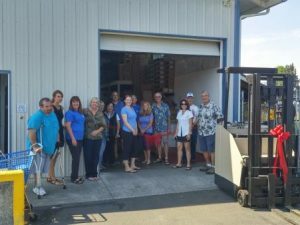 The following year, local food banks wanted to partner, and The Community Big Give gained momentum. “Last year, we gave out almost 1,000 meals,” Osburn said. This year’s event was Saturday in the Fred Meyer store parking lot in Sumner and the Walmart parking lot in Bonney Lake. Event organizers say Sumner gave out 324 meals, which will feed 2500 people thanks to the help of 198 volunteers. Between the two sites, 793 meals were given and will feed over 4400 people with the help of 400 volunteers. 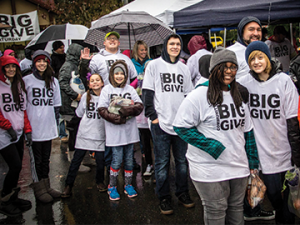 The Community Big Give has not only grown in number of meals given over the years, but also the number of volunteers who want to be part of something special. 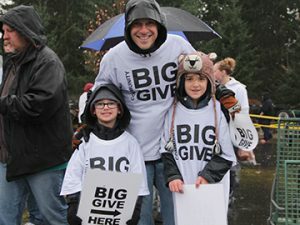 One of those volunteers is Lake Tapps resident Adria Esterbrook, who volunteered Saturday for her second year as part of The Big Give event. As a teacher, Esterbrook says the partnership with the Sumner School District allows teachers and other staff members to help their students have a Thanksgiving meal with their families. The key to success for serving those in need at The Big Give is to make them feel comfortable as they walk through the line to pick up their Thanksgiving meals, Esterbrook said. According to Osburn, each Thanksgiving meal bag handed out should feed about six people. While Open Life Church is the main organizer of the event since the beginning, it wasn’t until last year organizers and volunteers realized the impact of the event. Osburn stressed that the event is solely to help others.